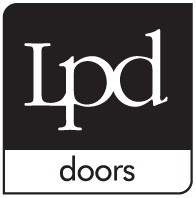 Our extensive range of knotty, semi-clear and clear pine single leaf doors and casement pairs are designed to meet more modest budgets without any compromise on aesthetics or quality. The semi-clear and clear doors are manufactured with some engineered components to help combat the natural potential for warping and shrinking. All doors are supplied at 35mm thick although metric sizes are 40mm thick with half hour Fire check doors supplied at 44mm. All Pine doors are supplied unfinished.